The Best External Rendering Company in Rockingham? Are you considering rendering the front of your house or the entire exterior? Or perhaps you're looking to fix cracks in your external walls? The Master Plasterers Rockingham employ experienced renderers that produce high quality acrylic or cement renders in a range of finishes. If you're looking for a competitive quote or just information on the cost of rendering your house, call us today for an obligation free quote or friendly advise. Just be aware that there are rendering companies that under quote just to win the work. But they end up producing a poor quality finish! Our clients are looking to transform their ugly brick walls and increase the value of their homes or to make sure their exterior walls are well maintained. Our renderer services Rockingham, so call us today for an obligation free quote or friendly rendering advise. 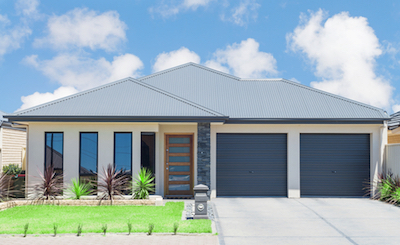 Exterior Acrylic or Cement Brick Rendering Services Rockingham. Some of our clients are building their own homes and are researching the different types of renders to ensure they have a high quality finish right from the start. Other clients are looking to transform their ugly brick walls and increase the value of their homes. Whatever your reason, you basically have two options - either acrylic or cement render. However, Our expert renderer can use these two methods of rendering to produce a variety of finishes. Our expert renderer can help you with a brilliant external acrylic render for your homes exterior brick walls. Call us today for more information or an obligation free quote. Acrylic rendering involves using a higher content of acrylic, which is a plastic, in the mixture putty. Acrylic rendering is considered ideal for the exterior of homes and other buildings due to its durability and strength as compared to traditional means of rendering. It is also easier to apply on walls; acrylic can be sprayed, troweled, and even rolled onto wall surfaces. How much Does Acrylic Rendering Cost? The general cost of acrylic rendering starts at a minimum of $37/m2 and usually stays within the price range of $45/m2. This would mean that a home of at least 450 square meters would cost between $17,000 to $20,000. This is of-course an estimation and the actual cost will be determined on a project by project basis. Your location, size of your home, and the finishing you choose will determine the final cost. Our expert renderer can help you with a brilliant external cement render for your homes exterior brick walls. Call us today for more information or an obligation free quote. Cement rendering, as the name suggests, is a rendering which involves the use of cement – that is including the stone, sand, or layer of thick mud. 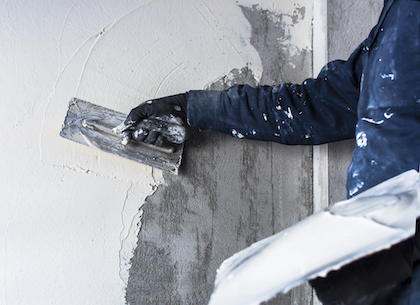 Cement rendering is the toughest form of rendering used on both interior and exterior walls and it has been in practice for thousands of years in homemaking. Cement rendering is also the most widely employed form of rendering around the world and is hugely popular for its strength, long-lasting protection, and compatibility with a wide range of decorative applications. How much Does Cement Rendering Cost? The general cost of cement rendering starts at a minimum of $37/m2 and usually stays within the price range of $45/m2. This would mean that a home of at least 450 square meters would cost between $17,000 to $20, 000. This is of-course an estimation and the actual cost will be determined on a project by project basis. Your location, size of your home, and the finishing you choose will determine the final cost. Our external brick rendering service transforms ugly brick walls and increases the value of your home. 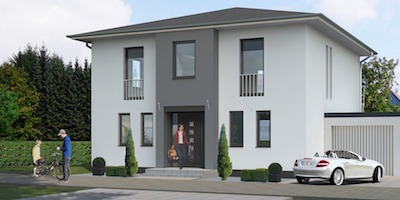 Our render can provide either acrylic or cement renders and can provide a range of finishes. Are you wanting a concrete render finish or another finish? We offer a wide variety of render finishes so call today for an obligation free quote.